Just sharing this for future reference. The thread will be pinned. Just to note the link is for Classic Systainers. Edited to include a link for T-LOC, plus images. Maybe the Festools are NAINA and that's why Shane forgot about them, but the FOG is more international these days. Tanos Midi 2 & 3 are available from Lee Valley though. Thanks for the MIDI dimensions...looks like it'll fit my cordless sawzall. You'll need to add 7mm to the height of a T-Loc Systainer if you want to take the "feet" into account. The sizes given exclude the feet that are "hidden" when Systainers are stacked. The Midis are great! . I use five of the IIIs and five of the IIs, all of which I purchased from Lee Valley. Thanks for the great info. Is there any midi 4, or midi 5's available anywhere? That could be very useful! Thanks! No there's no midi 4, or midi 5's available anywhere, because they don't exist! That's a bummer, my wife would like some systainers for her sewing machine and surger and other items. Looks like nothing will fit her Juki sewing machine, it's a shame I would love to share the cool-ade.. Since I'm in the USA I wanted to see dimension in inches, so I put together a spreadsheet that includes dimensions in both mm and inches. I figured I would share. I think I got everything included and noted properly. I was searching for these Systainer dimensions and I remembered seeing this sticky-post ... so here I am. [Edit ...] Oooops! Silly me! I see that ALL the dimensions are offered on that same (revised) page - the T-LOC and the Classic dimensions!! Here you go for the Classics .... with drawings. Ah! That's excellent additional info' Seth. Thank you. The 'older' drawers are 85mm deep compared to those on my already-full pair of SYS 4 TL-SORT-3's - which are 69mm deep ... or 70mm at a squeeze. but I don't see that two-drawer version on offer anywhere else, except on the German Tanos website! Does anyone know the drawer size on the new Drawer/systainer, is it the same size as the large drawer on the sortainer? I would like to upgrade, but the items I store just fit in height in the sortainer drawer. Thank you for any clues in the size. 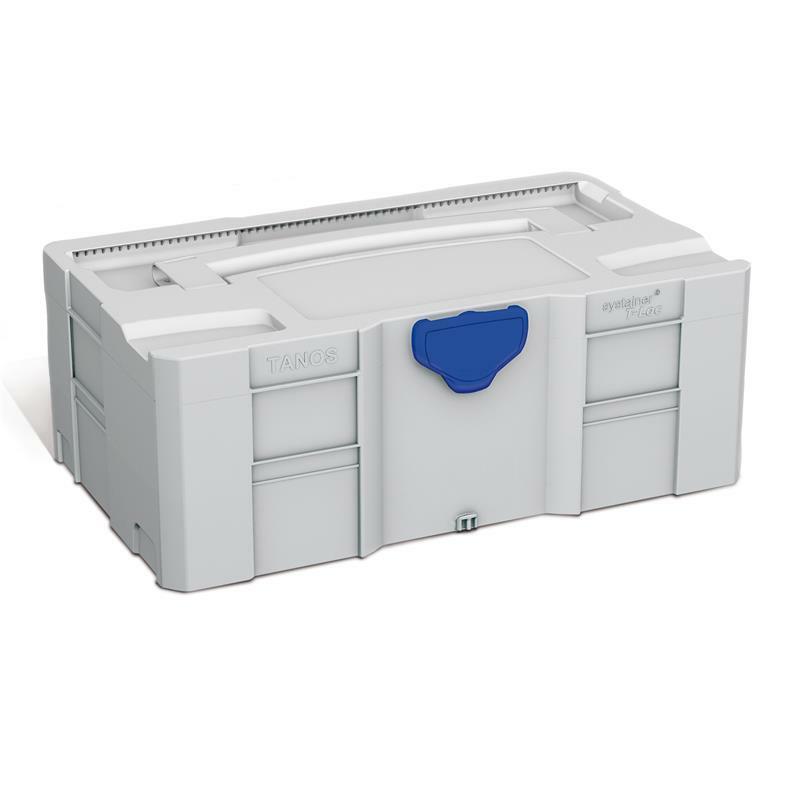 @#3H, if you're talking about the new Sys-Combi and Sortainer TL, you can find the drawer dimensions on our website. Just go to the product's page and click the "Technical Specs" tab. This probably won't help Kolin but, Lee Valley carries the 2 deep drawer, five drawer sortainer. I bought to keep my M12 Milwakee tool assortment and it works great. I have two of the four drawer versions where I keep my pinners, brad nailers and staplers. I had seen and remembered that post but I hadn't saved a link to it!! I love the idea of swopping and re-assembling the parts of these Systainers / Sortainers, even if it's usually a difficult thing to do. I'm up for that challenge.